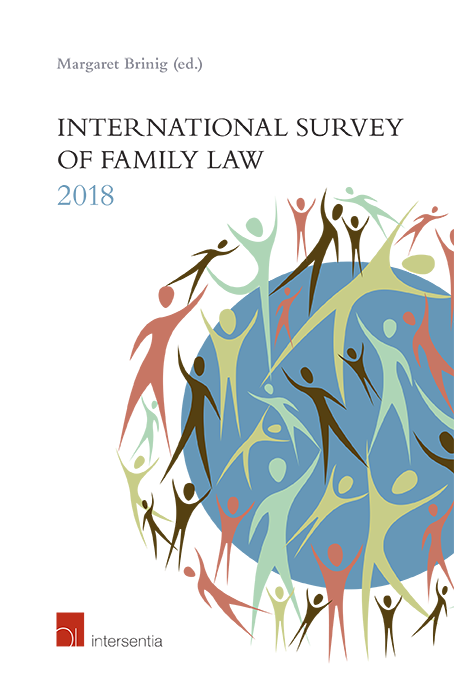 The International Survey of Family Law is the ISFL’s annual review of developments in family law across the world, generally covering well over 20 jurisdictions from all continents. Each article is written in English and accompanied by a French language abstract. Copies of the Survey are sent automatically to all full ISFL members (or may be obtained from LexisNexis for issues prior to 2018) or from Intersentia (for the 2018 issue and beyond). You can read a review of the 2017 Survey here. The General Editor is Professor Margaret Brinig of the University of Notre Dame, Notre Dame, Indiana, United States. The former editors were Professor Bill Atkin of the Victorial University of Wellington in New Zealand, Dr. Andrew Bainham, Fellow of Christ's College, Cambridge, UK, and Professor Michael Freeman of University College London, UK. From 2018, the Survey will be published annually by Intersentia, an independent international publishing house based in Antwerp, Belgium and Cambridge, UK. From 1995-2017, the Survey was published by Jordan Publishing, Bristol (UK), now part of LexisNexis. 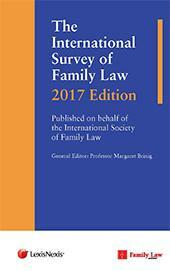 The predecessor publication – The Annual Survey of Family Law – was published from 1985-95 in the University of Louisville Journal of Family Law, USA.